Each and every year we see more and more laptops at the Consumer Electronics Show. We’ve seen insanely small and light ones, giant gaming machines, ones that flip and spin, and then just regular plain old laptops. At this year’s show the laptops haven’t been as insane, but a few of them might give us some hints at what’s to come for the rest of the year. Two of the more interesting new laptops this year are HP’s Spectre x360 15 and Dell’s XPS 15 2-in-1. 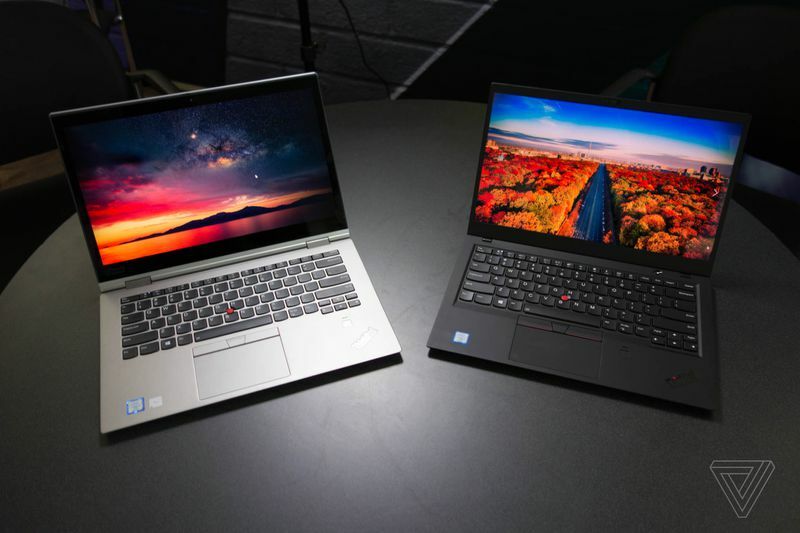 Both of these new models include Intel’s new AMD-powered chips, that combine Intel’s latest core processors with Radeon RX Vega M graphics from AMD and should improve the graphical power of these types of laptops. It’s not going to turn these laptops into gaming ones immediately, but it’s a combination that could lead to games running a lot better on regular laptops. It’s also the first time we’ve seen AMD and Intel work together since the 1980s, so that could have some good implications for the rest of the year. Dell’s XPS 15 also includes a maglev keyboard, which uses magnets to keep the keys in place. It means they keys are still held in place at the corners, but there are now magnets beneath them to provide better feedback that’s clickier. It’s an interesting addition, and it’s good to keep seeing PC makers other than Apple experiment with new keyboard technologies. If it works well, we might see the rest of the laptop pack experiment with improving their keyboards. Speaking of experimentation, it’s something we’re seeing less of with laptops this year. 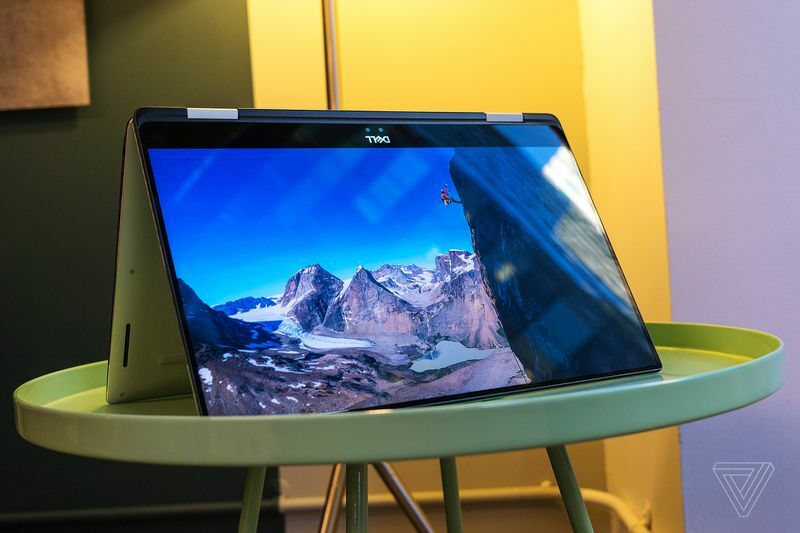 There are less flipping 2-in-1 crazy laptops, but PC makers are now starting to test the waters of Qualcomm’s Snapdragon chips in laptops. Usually we’d see these processors in phones, but Microsoft is now building Windows 10 for ARM chipsets. Why does this matter? It should mean better battery life, with claims of 20+ hours, and much better standby time so you don’t have to worry about your laptop dying. 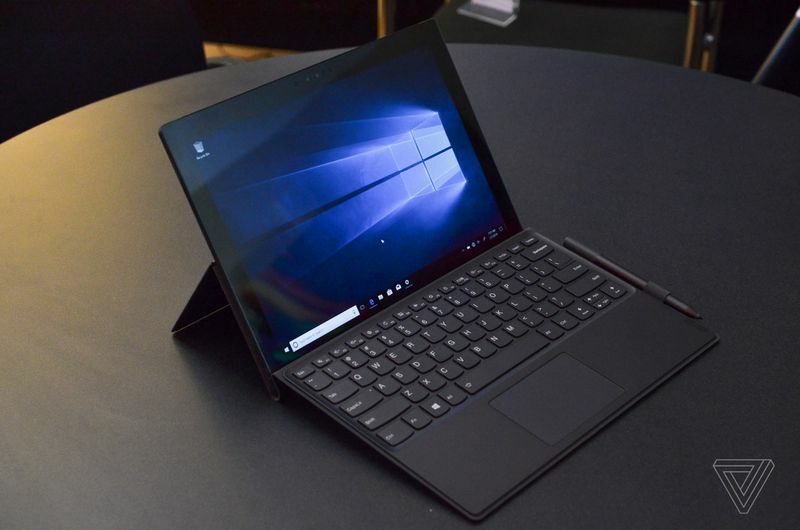 It’s still early days, but Lenovo announced its ARM-powered Miix 630 last week and it’s a combination of tablet and laptop. One of the big promises of this type of new devices is built-in LTE connectivity, meaning you’re always connected on the go. We still haven’t seen an ARM-powered laptop in the traditional clamshell design, but I’d expect we’ll see more of these types of devices throughout 2018. Another trend I’ve noticed at CES 2018 is HDR laptops. Both of Lenovo’s X1 Carbon and X1 Yoga have HDR support. There’s not a lot of support for HDR in Windows 10 itself right now, so these new laptops should lead to more and more apps and games supporting HDR content, especially as we’re starting to see more monitors supporting HDR also. HDR is great for watching movies and TV shows, so hopefully more laptop makers will add these displays to their devices throughout 2018. One thing we didn’t see a lot of at CES was Chromebooks or pure tablets, but Razer has started experimenting with a Razer phone dock that transforms the company’s Android handset into a laptop. It’s a little like what we’ve seen before with Motorola’s Atrix, or Samsung’s DeX dock, or even Microsoft’s Continuum for Windows phones. A lot of companies have failed to really turn phones into laptops, and Razer’s attempt is just a prototype for now. I’d doubt we’ll see a successful phone transforming into a laptop in 2018, but it’s good to see that some companies are still trying to make that dream come true. Aside from all these new additions, we also saw some regular laptops at CES this year. Dell refreshed its XPS 13 with a new white color and a slightly tweaked design. It’s one of the better Windows laptops, but Dell has still kept the webcam at the bottom of the screen for some reason. Acer also launched a new Swift 7, and the updated model makes it the thinnest computer in the world again. 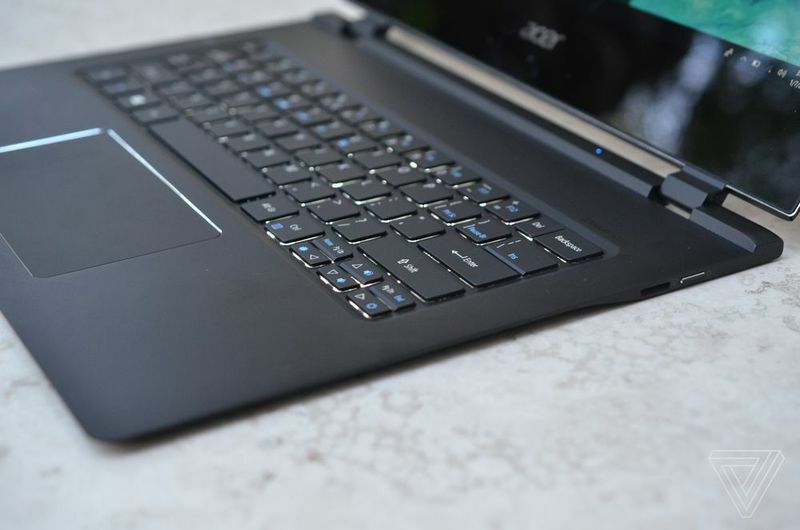 Acer has a habit of going thin and light, and really pushing other PC makers to create similar designs. Going thin and light does have its drawbacks, though. The keyboard doesn’t feel so great on this particular laptop compared to slightly bigger ultrabooks. So these were the laptops of CES 2018. Aside from hardware, we’re probably going to see Alexa appearing on a lot of laptops over the year. Amazon has announced Alexa for Windows PCs, and the first ones from HP, Lenovo, Asus, and Acer will arrive later this year. Google has its own Assistant on the Pixelbook, but could we see that appear on Windows machines this year? Combined with Microsoft’s upcoming WIndows 10 updates and continued push of ARM laptops, 2018 could make for an interesting year.